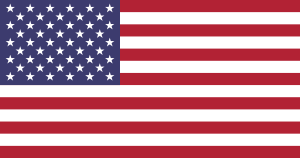 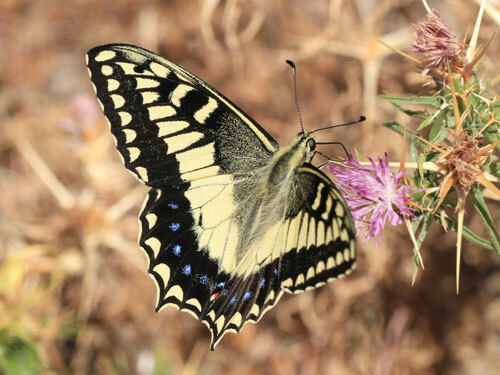 Only found on Corsica and Sardinia. 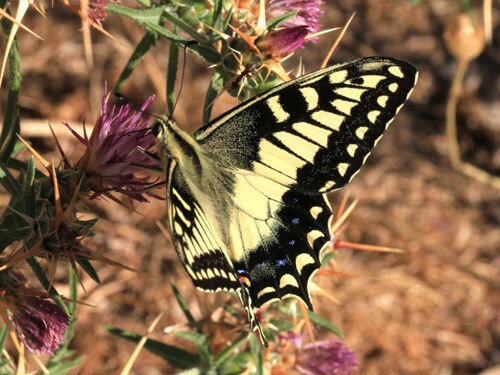 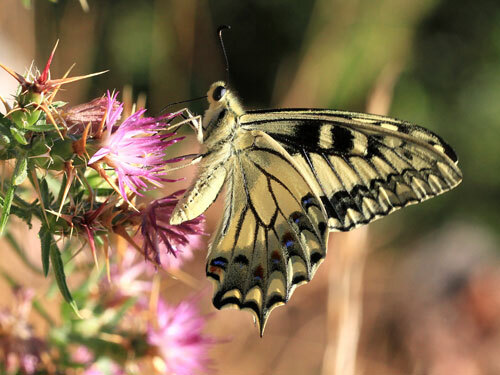 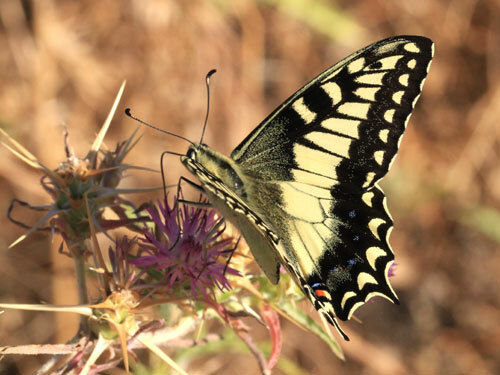 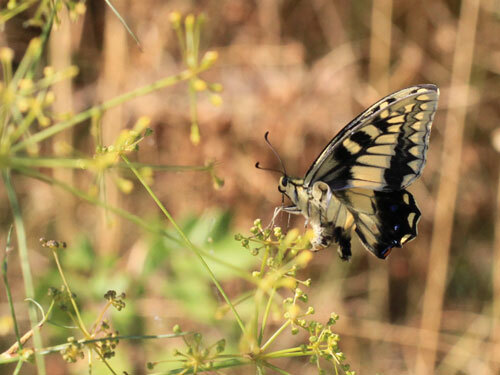 It closely resembles the swallowtail, P. machaon, from which (in theory at least) it is readily distinguished. 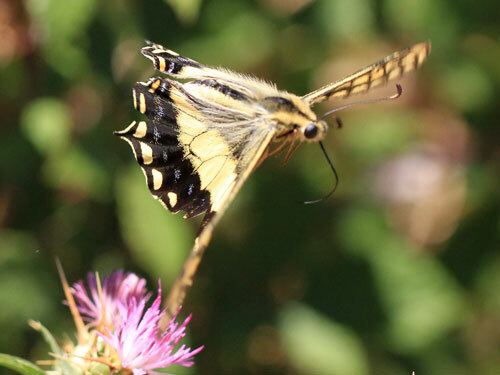 Identification & Similar species: P. machaon is the only species it could be confused with in this range. 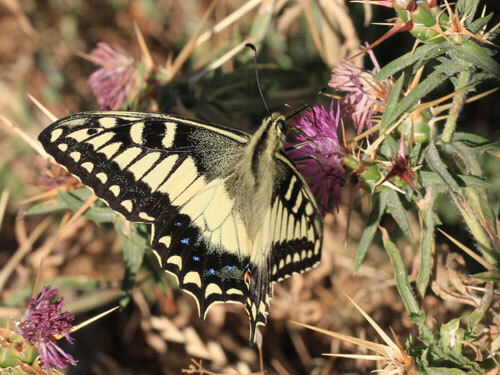 In my limited experience, both can be common on Corsica but the present species is much more restricted only being found near its foodplant. 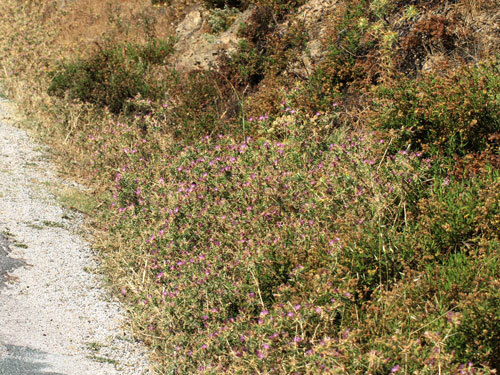 This grows in middle levels on hills below the high mountains on the island. 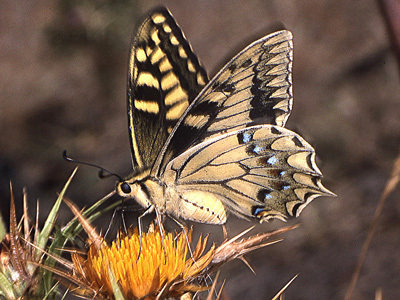 Distinctive features include the red spot at the root of the tail, black basal areas and arches in the discal area of the underside forewings. 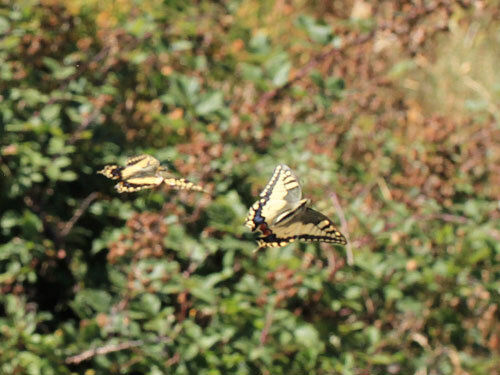 Distribution & Flight: Only found on Corsica and Sardinia in hills at mid altitude. 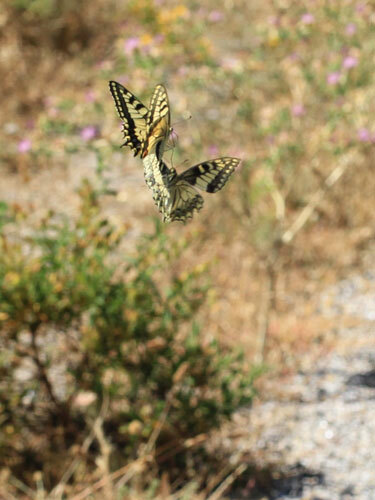 On Corsica it appears to fly mainly in July, on Sardinia much earlier in May. 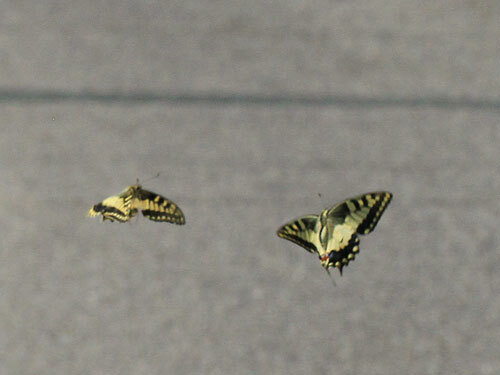 Literature suggests flight time may be long, albeit in a single brood. 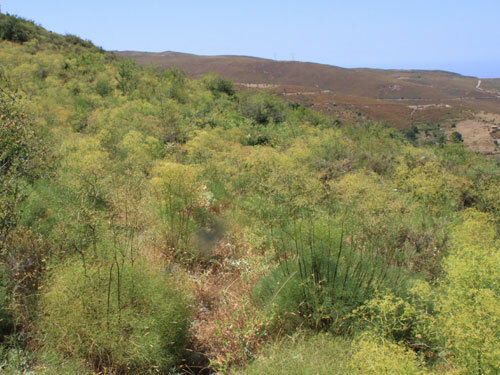 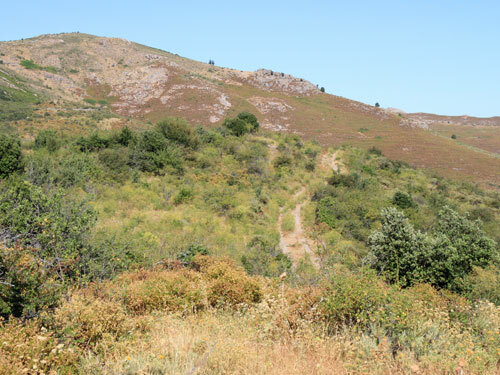 Habitat & Behaviour: In my limited experience, they fly in hills with an abundance of larval food plant, although the single very worn individual I found in Sardinia in May 2004 was in garrigue scrub. 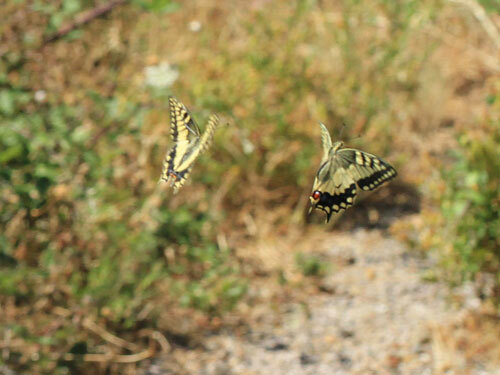 Both sexes but particularly males patrol the open structure of the habitat on Corsica flying between and amongst the food plants, often encountering and briefly sparring with other individuals. 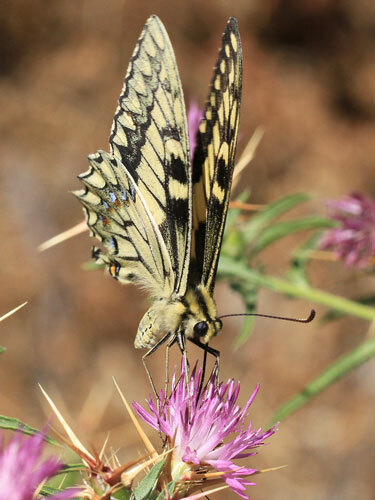 Adults are strongly attracted to thistles for nectar and I witnessed limited hill topping behaviour in Corsica. 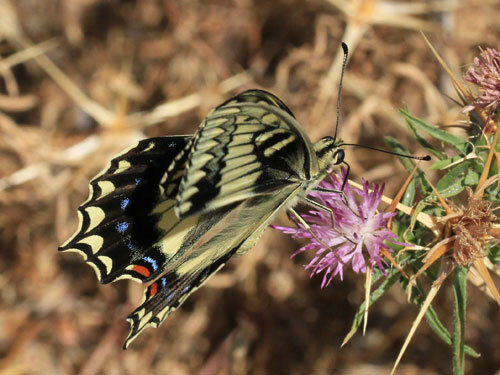 A typical roadside nectar hot spot. 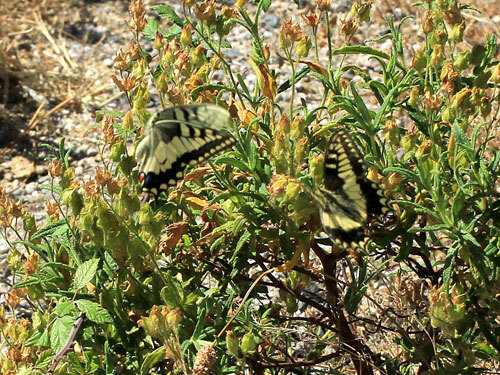 Larval food plant is abundant in places. 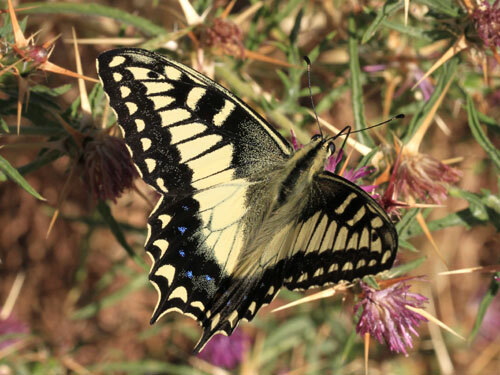 The red spots are flattened, not round as in P. machaon. 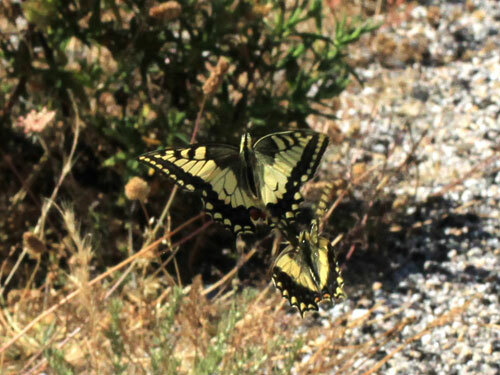 Egg laying, although in this instance no egg was found.